Cushy seating, wide armrest, and soft fabric upholstery - the Matt one-seater recliner sofa is a formula for laziness at any time of the day. Disclaimer: Procrastination from work is guaranteed. Give it the best spot in the living room or make it a part of the bedroom, it is tempting in any place. In a dark chocolate brown, it can easily blend in with all kinds of colour themes. If you’re redoing your home décor, make sure this single seater is on your mind. 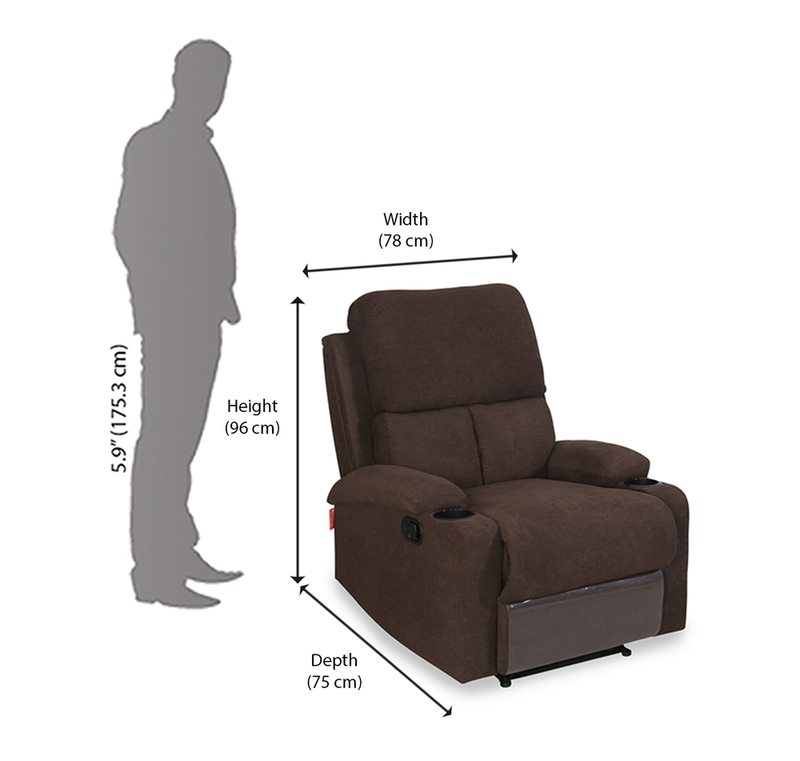 Fully Upholested Fabric recliner Pocket Spring on Seat Provides maximum comfort while Seating.